Good record-keeping can dramatically improve an R&D tax credit claim. Discover how ForrestBrown helped this large IT solutions and services company by carrying out a comprehensive record-keeping project to help them apply best practices. As well as acquainting senior management with HMRC guidelines we worked closely with heads of department. This helped to identify R&D projects and adapt existing processes to better record information. For Hardware, they expect to see the benefits for years to come. Hardware is a multi-vendor IT solutions and services company with offices in the UK and around the World. Over time they have grown from an equipment reseller, to a company that designs bespoke IT solutions such as complex networks and data centres. Clients include airports and universities. Hardware have strong relationships with many leading technology partners such as Dell, HP and Juniper Networks which mean they often feed into the development of new products. 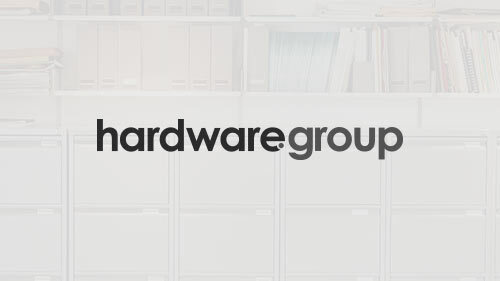 ForrestBrown undertook a comprehensive record-keeping project with Hardware Group. Starting with a workshop we used the guidelines for research and development to educate senior management on its definition for tax purposes and the activities that contribute to R&D, both directly and indirectly. We explored what records were kept, how data was captured and how it could be used within the R&D claim methodology. This involved working with each department head to see how they undertook R&D projects, what data they already kept and how they could adapt their existing processes and records to create a reliable and contemporaneous record-keeping system to support their claims. In the case of Hardware, we also manage the full R&D claims process. The outcome of advice on record-keeping meant we were able to build a more robust methodology to calculate the value of the R&D tax credit. Going forwards, this implementation of best practices will support broader, and therefore more financially valuable, claims. A welcome bonus from the workshop was that we identified a whole separate business unit – tucked away in a different location – that was carrying out R&D. On the face of it, it was a repair centre, but part of what they actually did was to carry out speculative research projects to come up with solutions that would extend the lifecycle of obsolete equipment for large telecoms clients. Telecoms companies have vast stocks of electronic equipment that are no longer supported by the manufacturer – perhaps it is not cost-effective, or perhaps they have gone bust. Often, this equipment was never designed to last more than a few years, but the companies with the stock have come to need it to function for much longer periods. So Hardware design custom fixes and solutions to keep the portfolios operational. It is an invaluable service. The example of how we worked with Hardware is an excellent demonstration of how ForrestBrown does so much more than just look at the numbers. We tailor our approach for larger companies to offer bespoke consultancy exactly as it’s needed.